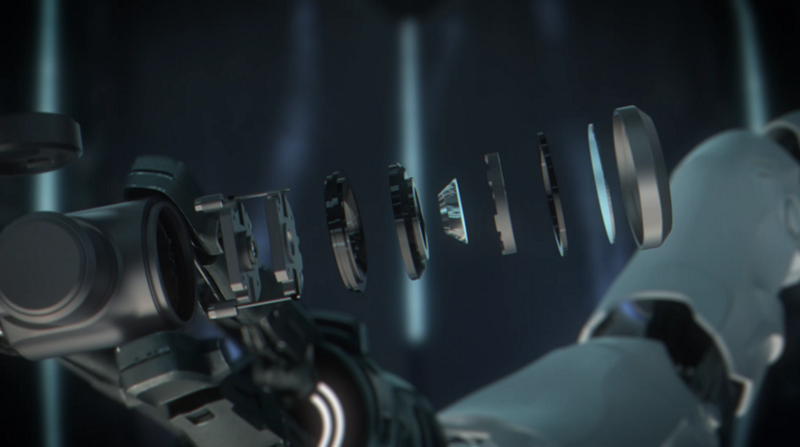 What’s better than a new drone release…? Two new drone releases!! 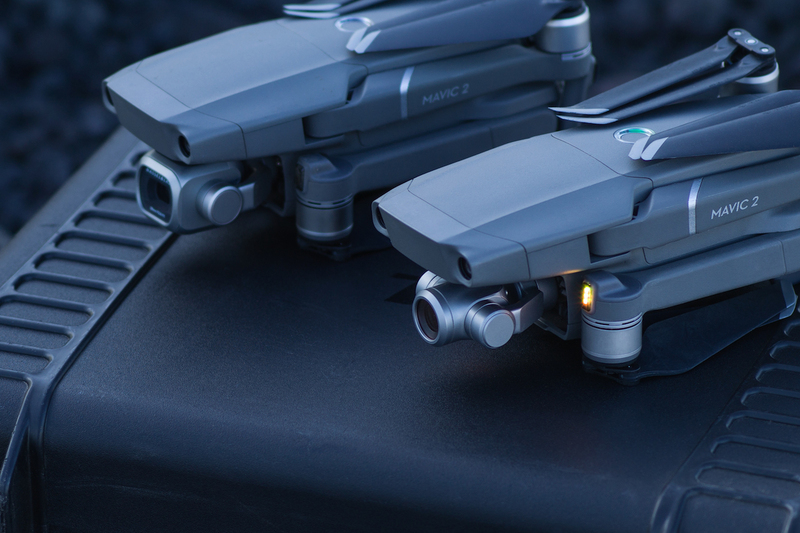 On the 23rd August 2018 DJI released two new consumer drones in the market, the Mavic 2 Pro and the Mavic 2 Pro Zoom. 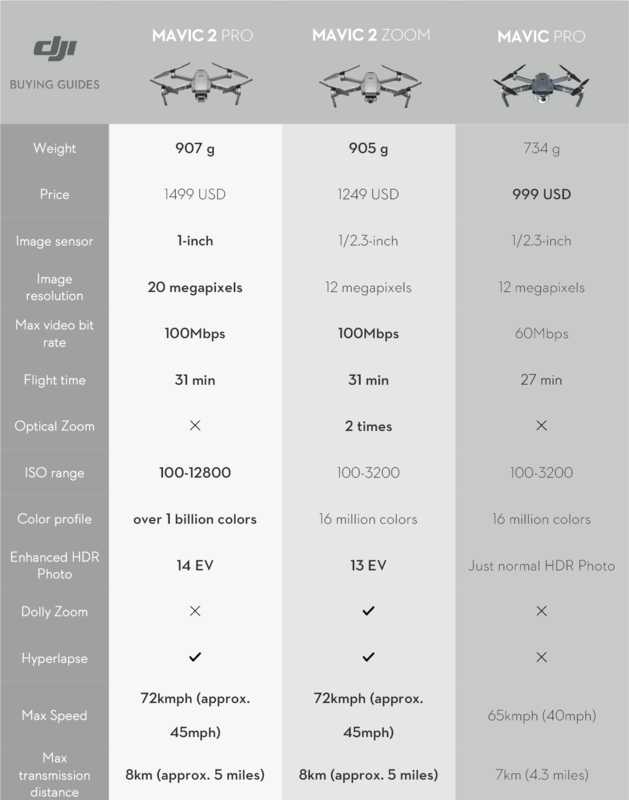 Both are amazing drones and I believe will no doubt be the highest selling drone soon. It is not easy to decide which one is best for you so let’s break it down and work out what is best for you! What is the real difference!? The only difference is in the cameras, and it is significant. Look at the spec breakdown comparison below and you will see. This is the most important difference between the Mavic Pro 2 and Zoom. The Pro 2 boasts a 1-inch sensor (similar to the Phantom 4 Pro) and now is made by Hasselblad. A larger sensor can absorb in more light, have a higher dynamic range and an overall better image quality. The ISO range has also increased from 3200 to 12800, a new adjustable aperture f/2.8-f/11 and now a 20MP camera. The Mavic Zoom camera is a 1/2.3-inch sensor, significantly smaller and what you would expect to find on a mobile or small digital camera. This camera is still at 12MP as per Mavic Pro V1. Even though the 2 Pro has a larger, better glass, it doesn’t have a zoom lens. 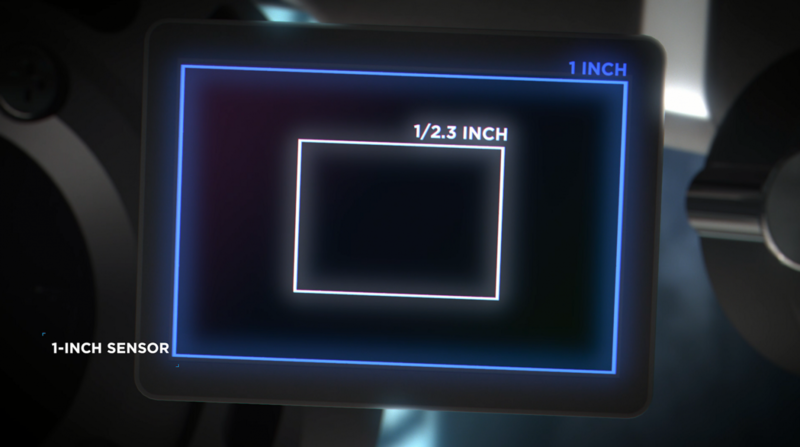 The smaller glass of the 1/2.3-inch sensor is what has allowed DJI to fit a 2x optical zoom in the Mavic 2 Zoom. 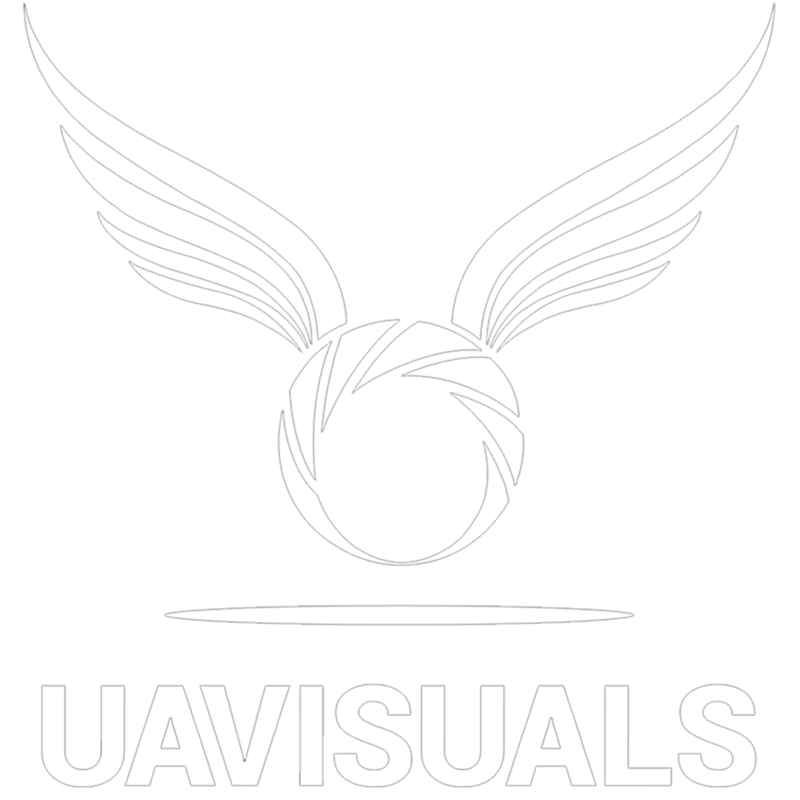 It not only enables you to bring objects closer but allows you to also pull off some creative cinema effects such as the dolly zoom and that cool parallax orbit. 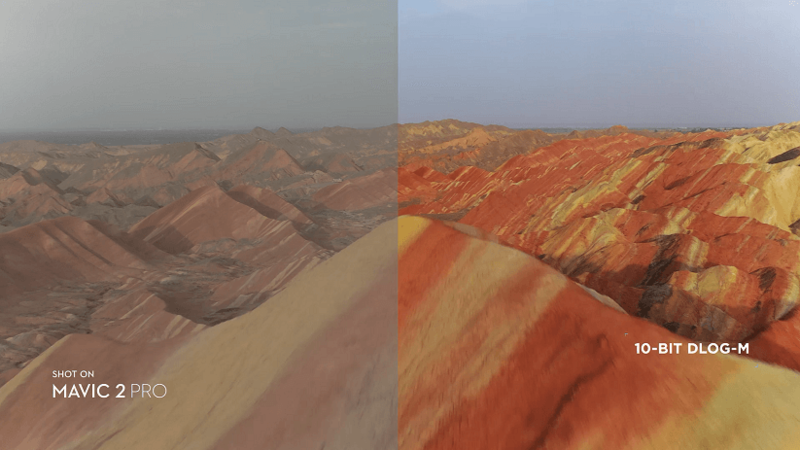 Another huge improvement of the Mavic 2 Pro in regards to video is the colour science (profile) or logarithmic tone curve called Dlog-M. Basically, it produces flatter, low contrast footage so it can be colour graded for a desired look in the editing suite. 10-bit refers to the colour depth of an image (not to be confused for bitrate). Most online videos are shot in 8-bit colour – which means it has 256 luminance per colour channel. The 10-bit colour depth increases this to 1,024! Once again great for pros who know what to do with this! The Mavic 2 Pro will give you ridiculous image detail, clarity and HDR-Video with vivid colours no matter how bright or dim the scene is. The Mavic zoom will give you a zoom range without loosing quality, quick focus and cool (in-camera) visuals effects to level up your aerial cinematic shots! Who are you & what you need.